Project Description: Grewal Law is a Michigan law firm that has been providing legal assistance to the residents of the Lansing and Mid-Michigan area for decades. Although they did a good job of TV and radio marketing their website wasn’t attracting and converting visitors they way they wanted. 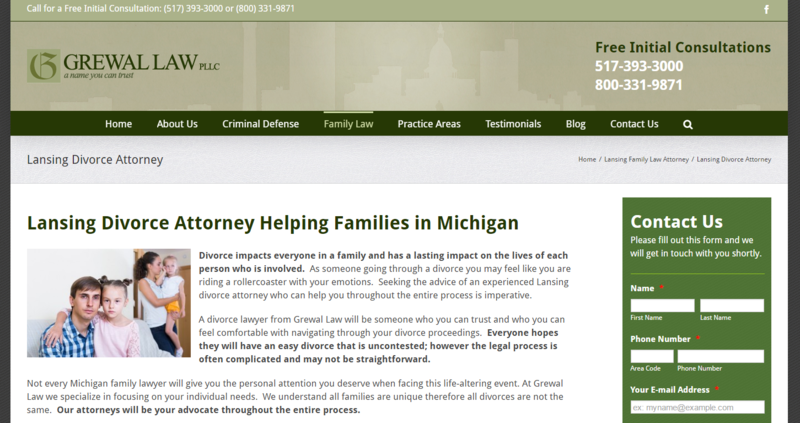 Their goal was to have a very strong online presence in the Lansing and Mid-Michigan area. 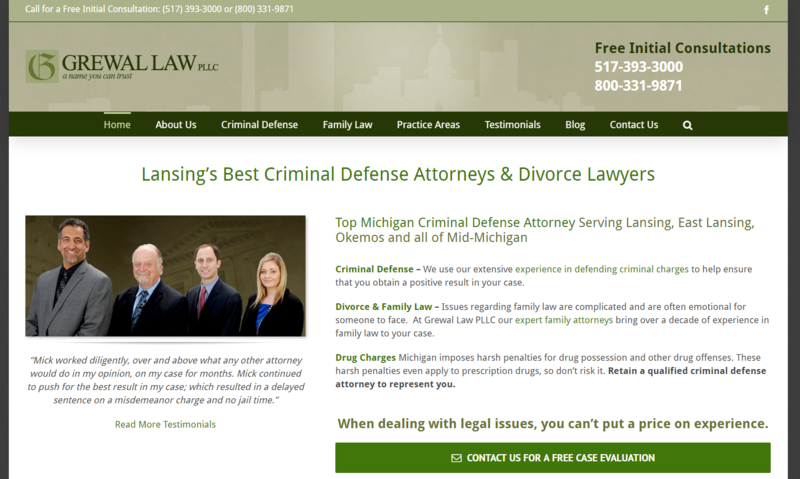 They wanted to show up for a variety of keyword phrases that someone looking for legal help in the Lansing area might be searching for. One of the biggest problems with their current website design is that it lacked focus (not enough call to actions), and not enough technical SEO sound pages to generate new searches. After a few months, I was able to build them a highly focused, conversion based website that will help them rank in Google for a variety of legal search terms. In addition, the biggest goal of adding over 100 pages of new content was met.